The Yealm Ward at Royal Devon & Exeter Hospital has been voted as a winner of RGB Building Supplies’ Well Built Community Fund and now has £1,000 to spend on building materials. 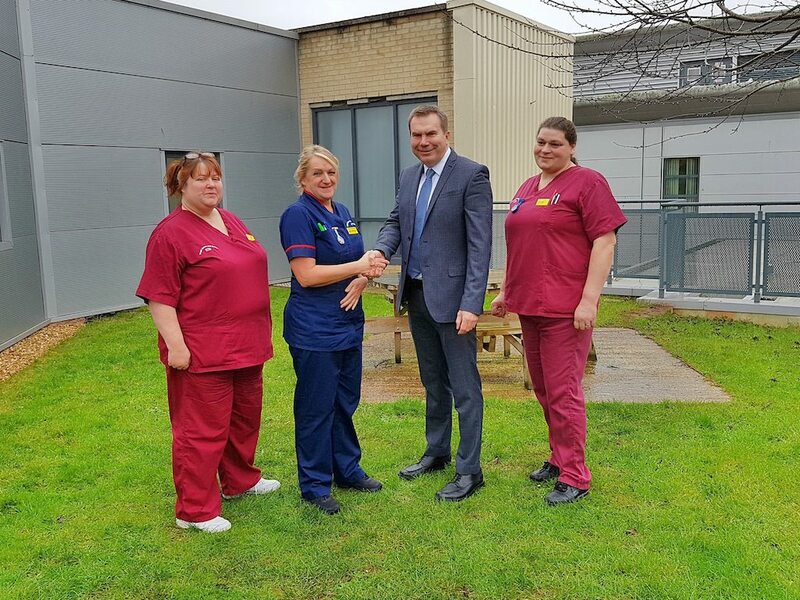 The team would like to create a therapy garden for use by patients to aid their recovery, and as a welcoming outdoor area for families to spend time in. The £1,000 to spend at RGB’s Exeter branch will be used to build raised planting beds, create a wheelchair friendly walkway, install a pagoda, and much more. Michele Richards, Matron for Yealm Ward at Royal Devon & Exeter Hospital, commented: “We’re thrilled to be voted as Community Fund winners and would like to thank everyone who voted for us, and to RGB for their kind donation.